Easy to save and load data of USB Flash Drive. "pendrive saved very important data was stolen"
When a school or a company meets such case, it may be reported as an information leakage case. It is too late when you notice your pendrive was lost or stolen. Why not take measure now? Before you use the tool first time, please read Outline and How to use and License. 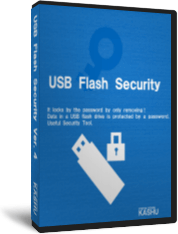 security software protecting data in USB drive by a password. To install security to high capacity USB Flash Drive and USB hard disk,PRO Service can be used by these editions. To install security to multitudinous USB Flash Drives by 1 PC. Function that change password by USB drives ,PRO Service and Write-Protect Service can be used by these editions. Copyright © 2005-2017 KASHU SYSTEM DESIGN INC. All rights reserved.